Lighting is an important aspect of interior decoration. Lighting not just adds functionality but it also enhances the look of the particular room or space by adding style to it. Lighting adds ambiance and also can be used to make a place look cozy or spacious depending on the need. Lighting goes hand in hand with the room size, the type of furniture used in the room, the colors of the room, and the natural light in the room. There are different types of lighting one can use to decorate their homes or business space. One of the prominent ones among them is the pendant light. Pendant lights are a great combination of being visually decorative as well as functionality. You can play with the colors, sizes, patterns, styles, textures that these lights come in. Pendant lights come in an array of sizes it starts from 5 inches and goes on to 43 inches wide. Keeping in mind the location where the pendant light will go and its use in that particular space, one can decide on the appropriate size of the light. How low or how high you want to hang the pendant lights are also an important part of décor. If it is too low, people can bump into it, if it is too high, it may not serve the purpose. For example, if you are hanging the pendant light over the kitchen island or the dining area, the hanging height should be around 24 inches to 30 inches, so that the light can focus and brighten up the island or dining area without blocking the view of people seated there and also avoid from people bumping into it. Pendant lights usually accompany with adjustable chains or extension rods to adjust its hanging height accordingly. Classical: They have this beautiful ornate look with a lot of detail. If you are going for that classy or vintage look or a rustic look, then this style is definitely for you. Modern: For those who want to go for the minimalistic look, the modern style is the best option. The neatly defined edges and the sharp yet minimalistic look, make it the perfect choice. Evolutionary: A design that is interim and is a transition or a combination of traditional and modern is a look that will fit in perfectly with décor which has elements of both worlds, the traditional as well as the modern. Assorted: A mixture of more than one style, this is perfect for those who love to experiment with different looks, and add an eclectic piece of lighting. Glass, metal, clothes, ceramic, and plastic are some of the common materials that are used for pendant lighting. With each material, you can also get a myriad of finishes. Clear glasses are always great for a place where you want the maximum amount of light. However, even in the glass, you have different shades that are available such as colored glass, Tiffany style glass, frosted glass, smoked white glass diffuser, etc. and each of these enhances the look of a space in their own way. In metal, you get different finishes like brushed nickel, polished chrome, polished nickel, oil-rubbed bronze, black iron, etc. Each finish can give one of the aforementioned styles such as conventional, modern, evolutionary or assorted. Plastic is also great but they can lose color over time, hence they can be used in corners. Cloth finishes add a rustic look but can accumulate more dust hence it should be placed in places like the living room, where dusting is much easier. The shades also come in different patterns such as cut out patterns, which are great to hand in enclosed spaces such as corridors which gives a dreamy effect when the patterns appear on the walls. It also gives an illusion of extra space if placed in a narrow hall. Mini Pendant Lights: These are small-sized lights which can be used solo, in clusters, or in rows. Best for study area or light above a sink. Island Pendant Lights: This is a single fixture which can contain a number of mini lights in a row. Best for kitchen islands or dining area. Multiple Light Pendant Lights: This is a single fixture which can have more than one row of mini lights and can have as many as 10 mini lights in one single fixture. These are also great for the dining area and also can be used as an alternative to chandeliers. 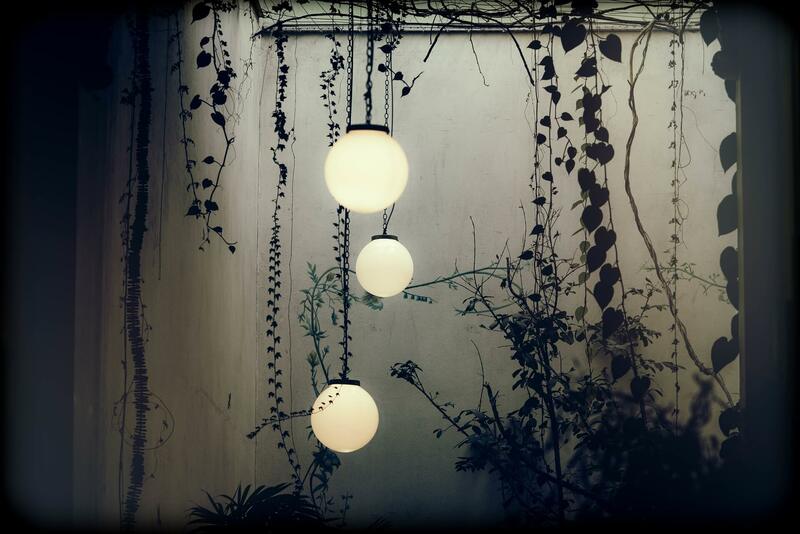 Inverted Pendant Lights: This is great for ambient lighting. They are similar to semi-flush mount lighting but instead of directly being mounted on the roof, they hang like a pendant from a chain. Great for a breakfast nook or a dining room. While considering the right light bulb for pendant lights one must consider the color temperature, lumen, and wattage. You should never exceed the wattage mentioned for your light fixture ever. There are different types of bulbs available such as the incandescent bulb, halogen bulbs, HID bulbs, LEDs, and CFLs. LEDs and CFLs help in reducing energy costs as they have a lower wattage with a similar amount of brightness. For living room and bedroom opt for bulbs with warm white color, for workspace and kitchen go with bright white color temperature, and for the study area, you can use daylight color temperature. Hope this article will help you make the right choice. Check out the pendant light selection form Lighting House for your home or office space.